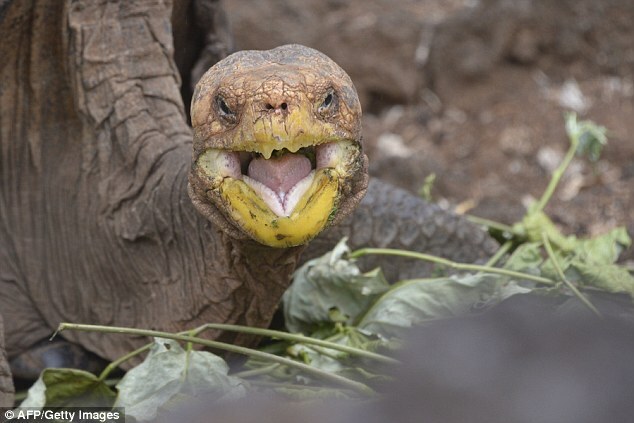 Diego has fathered 1000 babies over the years, turning the tide for his species on the island of Espanola in the Galapagos islands, off the coast of South America. 'He's a very active male reproducer. He's contributed enormously to repopulating the island,' said Washington Tapia, a tortoise preservation specialist at Galapagos National Park. He weighs 82 kilograms (13 stone) and is nearly 90 centimetres (35 inches) long. 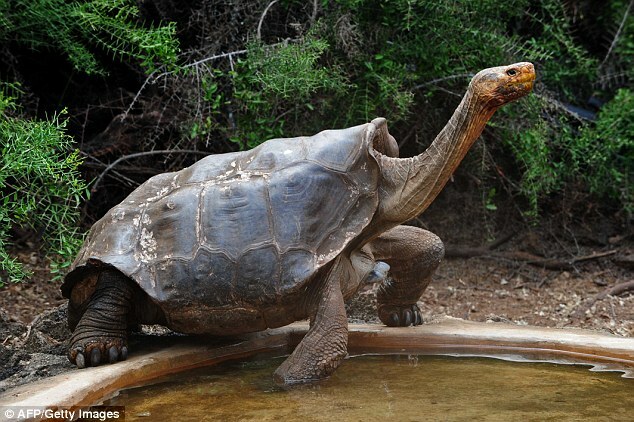 Diego was found at the San Diego Zoo - hence his name - after Chelonoidis hoodensis was identified as a species and an international campaign was launched to find more of the rare tortoises. 'We don't know exactly how or when he arrived in the United States. He must have been taken from Espanola sometime between 1900 and 1959 by a scientific expedition,' said Tapia. After being located at the zoo in California, Diego was brought back to the Galapagos in 1976 and put in the captive breeding program. Little did scientists realize just how effective he was, until six years ago. In all, around 2,000 tortoises have been released on the small island. Thanks to the program, the species is no longer facing extinction. 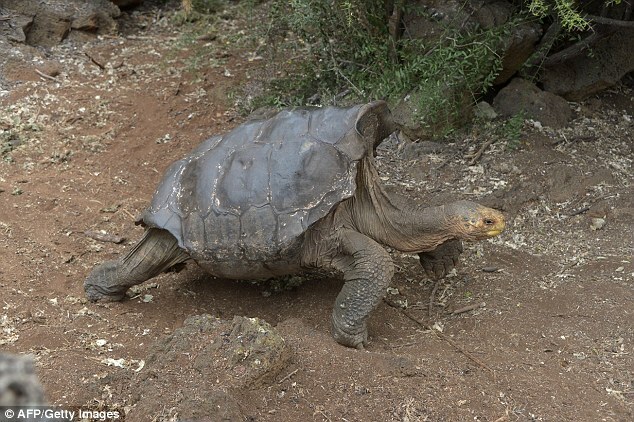 Responses to "100-year-old Galapagos Giant Tortoise Saved His Entire Species From Extinction"
Who among us would be able to do the same? Won't there be problems from inbreeding with that many of the turtles sharing the same father? I m its great that the species had been saved I just hope it hasn't created another problem that could threaten their survival. Inbreeding is not such a big issue for other species...in fact, inbreeding is how most all of the various distinctive dog and cat breeds got started!